Taylor Swift: Fans Rave at Her Speech for Pride Month! June is LGBT+ Pride Month, and Taylor Swift knows exactly how to acknowledge her fans. Her Reputation Tour came to Chicago over the weekend. 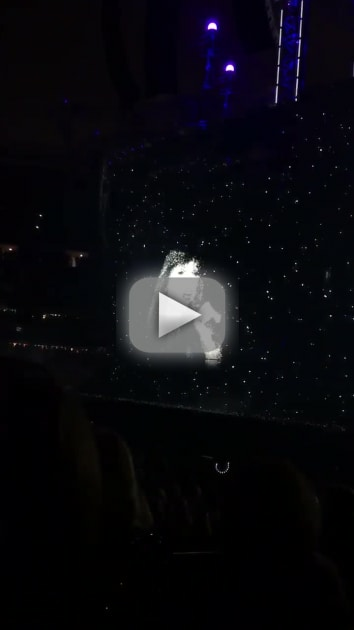 As you'll see in the video below, Taylor walked out on stage and delivered a heartfelt speech. She addressed her fans who have come out of the proverbial closet. She also addressed those who are not yet "out" and have to hide their authentic selves from at least some of the people in their lives. Taylor reminded her cheering audience that, as worthy of celebration as the many strides towards equal rights the LGBT+ community has made, there is still a long way to go. She's absolutely right. When people come out, it's often lauded as a "brave choice." Being yourself should not require any bravery, but it does for millions of people. You can hear the audience cheering! This is a big deal, especially as the LGBT+ continues its fight for equal rights and for acceptance. 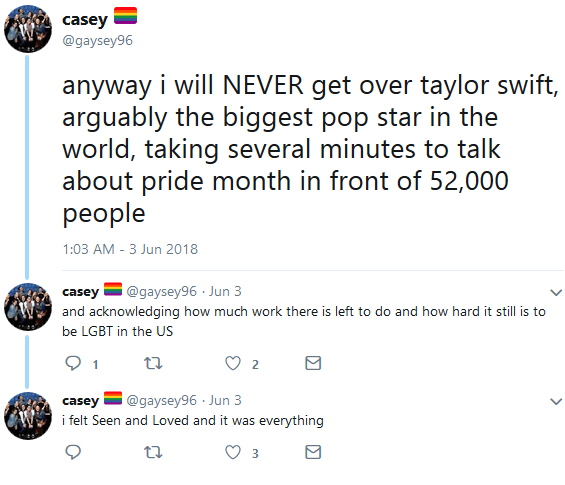 Taylor’s speech didn’t include nearly as many rainbow emojis as the tweets about it did. One day, we’ll have that technology. Others were less coherent, and that’s okay. Meghan Markle & Prince Harry: Sending Their Child To An AMERICAN School?! Rob Kardashian: Blac Chyna Is Gorgeous, HATERS! Next story Tristan Thompson Curses Off Reporter: Watch Him Lose It! Previous story Megyn Kelly vs. Hoda Kotb Feud Heats Up at NBC!